You might remember a while back I posted about making soup in a mug with my freeze dired food. When my family makes it we just wing it, throwing a little of this and a little of that in. 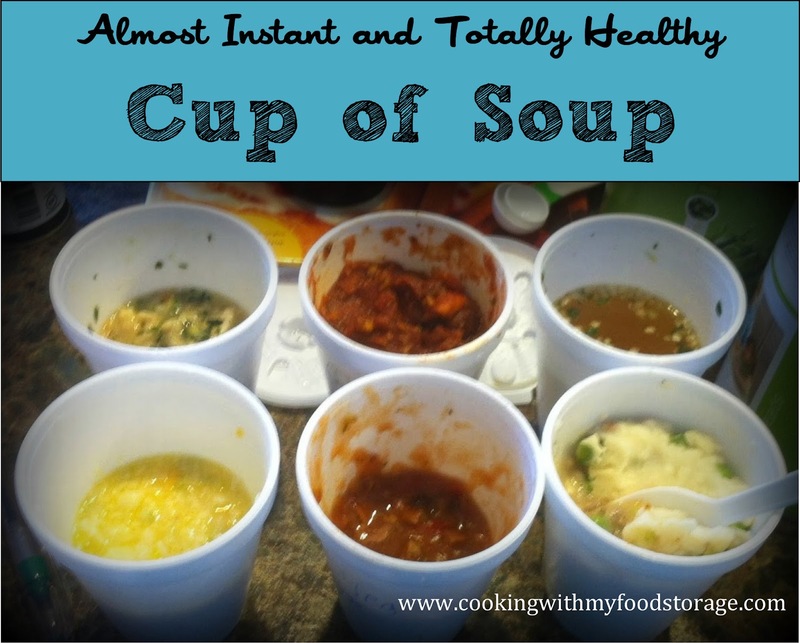 It always turns out great but when we find something we love it is pretty hard to duplicate it. .
Kay from Kay’s Kaleidoscope is here today to talk about using your freeze dried food storage to create Almost Instant Healthy Cup of Soup. 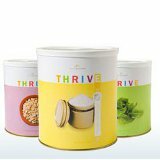 Having cooked with Thrive myself for over a year and working with others, it seems that the biggest fear is that cooking with Freeze Dried food is a little different so people tend to fall back into familiar habits that usually take longer, are not as nutritious, and in a lot of cases cost you more money. So my friend Judi Stull, came over and we were "Thrivin' It Up" all afternoon. We wanted to create some basic cup of soup recipes feature freeze dried ingredients. 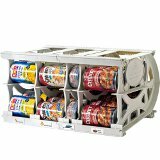 1 T. Instant Rice, Instant Beans, Freeze Dried Potato Dices or Egg Noodles, choose one. Layer ingredients in an 8 oz. cup. Add about 6 oz. boiling water and stir well. Put lid on the cup and “steep” for 10-15 minutes. Enjoy. Thrive is so forgiving - if it is a little thick, add a little water - a little thin, add a little more sauce mix. Most ingredients will rehydrate in 10-15 minutes. Bigger & thicker pieces, obviously, will take a little longer. 1/8 t Thrive peppercorn seasoning blend. Put ingredient in an 8 oz. cup. Add 6 oz boiling water and stir well. Coer and “steep” about 15 minutes. Enjoy! 1 T Thrive Potato beads plus a little more boiling water. Put all of the ingredient except the topping into an 8 oz cup. Stir well. Put potato Beads on top and add boiling water a little at a time smoothing to make the mashed potato topping. Cover and steep 10-15 minutes. Enjoy. Kay Curtiss worked in the LDS Book Industry for over 20 years. During that time she was a Regional Manager of 4 Independent LDS Bookstores in Washington, DC; Houston, TX; Atlanta, GA & Chicago, IL. She served on the LDS Booksellers Board of Directors for over 7 years. Most recently She managed the LDS Books & Things Catalog/Magazine used by Independent LDS Bookstores. She originally got involved with Thrive Life to see how it could help these independent bookstores. Last summer She retired from the LDS Book Industry and is enjoying "retirement" doing genealogy, spending more time with my family and starting to build my own Thrive business so I can enjoy a more Thrivin' Life. You can check out all of Kay’s printable Recipes including the soups from this post here - or click on the Soup names above for a link to the individual recipes. You can also shop from Kay’s Thrive Life store.